The food we eat is one of the biggest sources of toxins. All the processed garbage, the fake foods, the artificial flavorings, artificial colors, preservatives, artificial sweeteners, GMOs, etc. Our homes can be a source of toxins, from the brand new carpet that emits radon, to the newly upholstered couch that has been sprayed with the anti-inflammable spray. The personal care products we use are filled with carcinogens and toxins that will make our body sick — toothpaste, shampoo, conditioner, soap, lotion, makeup, deodorant, perfume, etc. What do we do to protect ourselves? It is impossible to live in a bubble and prevent all toxic exposure, which is why we so badly need to detox our bodies. 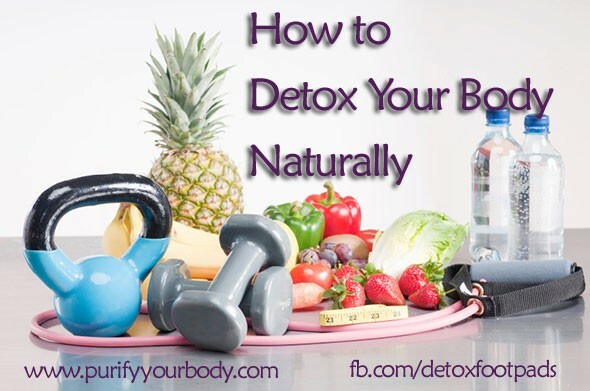 There are so many ways to detox, and many of them you can do in combination with each other. Pick which ones work for you. Detox Foot Pads – these work great because you can wear them while you sleep. They are exceptionally good at removing drug residue (if you have been taking prescription drugs) and pulling out heavy metals from your body. The detox foot pads also work amazing on children and babies. Zeolite Detox – our zeolite pure powder has the ability to detox your body naturally from radiation, heavy metals and other toxins you have been exposed to. It works amazing with the detox foot pads. Far Infrared Saunas — this is a great way to detox, if you have access to a far infrared sauna. They work better at detoxing your body than a regular steam sauna does. They work at a lower temperature, rarely more than 130 degrees F, so they are more comfortable to be in. A word of caution: anytime you sweat extensively, you will need to make sure you build your electrolytes back up (drinking salt water sole’ works). Eating detox foods — here is a list of 36 foods that can detox your body naturally. You can find your favorites and incorporate them into your diet. You can purchase detox foot pads or zeolite here.